Nothing brings family together like a good meal. But if we're being honest, choosing what or where to eat is never as simple as it sounds. Take the hassle and stress out of trying to decide what to eat with our Summer Food Guide! If you want BBQ but someone else wants fried chicken, don't fret, we'll help you satisfy the cravings of every member in the family. For families with special dietary concerns or those who just like to eat a little lighter, there are lots of great options available including fresh salads at Crossroads Pizza, Lumbercamp, Dockside Grill and Wagon Works Grill. In addition, you can find fresh seasonal fruit at Wilson's Farmers' Market. Another great option for health conscious families as well as those looking for vegetarian options is Percy's Southwest Grill. 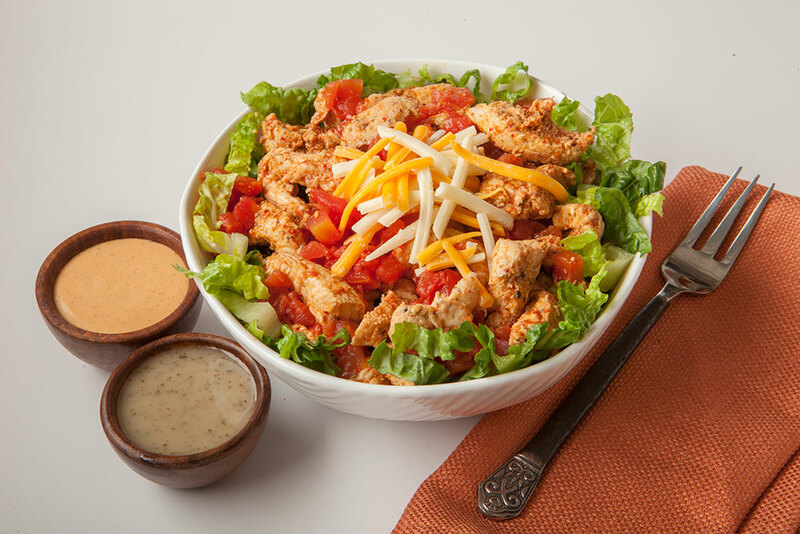 The entire menu at Percy's is fully customizable so you can build your salad, taco, burrito, bowl or nachos any way you like with 18 toppings from which to choose. We know that sometimes the littlest adventurers in your family can have some of the biggest opinions when it comes to food. Luckily, there are kid's meals throughout the park designed to please a variety of palates. You can find favorites like chicken strips at Dockside Grill, Hatfield's Tater Patch, Lumbercamp, Riverside Ribhouse and Wagon Works Grill. Other kid's meal options available at select eateries include hamburgers, hot dogs, corn dogs and pulled pork sandwiches. 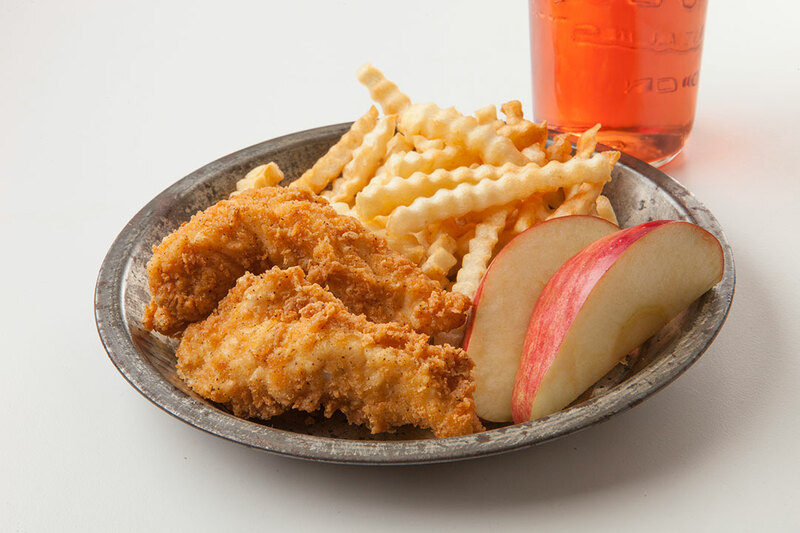 Every kid's meal comes with a side, fresh fruit or applesauce and a drink. Hearty appetites will appreciate Silver Dollar City's handcrafted slow-smoked barbecue including our signature ribs and tender pulled pork available at Riverside Ribhouse. Plus, feast on an all-you-care-to-eat barbecue buffet at The Lucky Silver Mine. 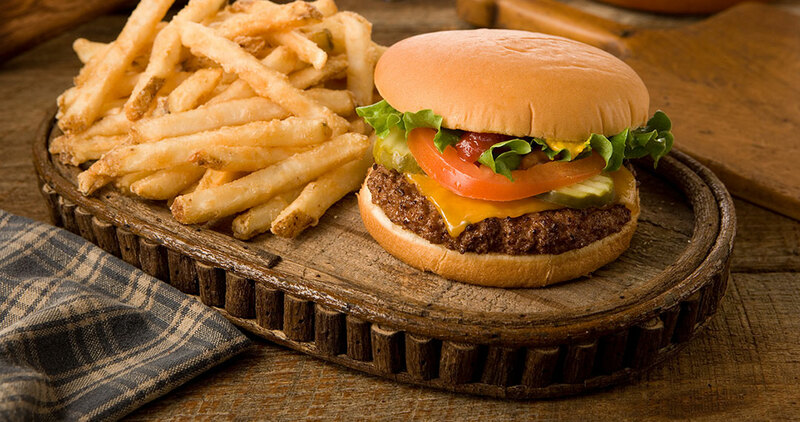 Classic all-American burgers are served up at the Lumbercamp and Wagon Works Grill, and delicious hot dogs can be found at Elmer's Frankfurters and Frank's Hot Dogs. New in 2018 is Traveler's Stop, located just across from the World's Fastest, Steepest & Tallest Spinning Coaster - Time Traveler™. Traveler's Stop features tender and juicy fried chicken sandwiches, gourmet grilled cheese sandwiches and seasoned fries. These yummy traditional fried foods are just another part of the fun for many families visiting Silver Dollar City. 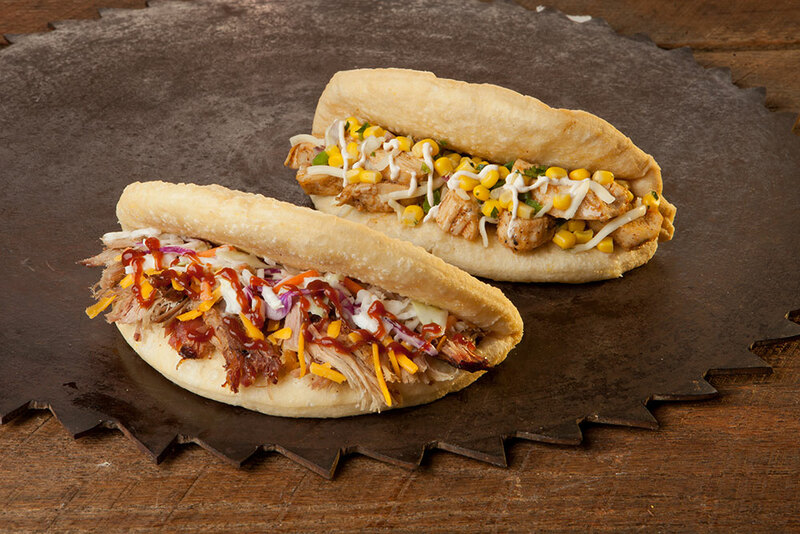 If you haven't had fry bread yet, then you need to head to the Fry Bread Company at the bottom of Hill Street for a fry bread sandwich featuring pulled pork or grilled chicken. Portable fried treats include classic corn dogs from Flossie's Front Porch and one of our favorite snacks, the Tater Twist. Flossie's Front Porch also has hot and fresh sidewinder fries with a variety of toppings. Whether you're looking for a treat to cool you down or a delicious indulgence to top off your meal, you'll find taste-tempting desserts and sweet snacks around every corner. 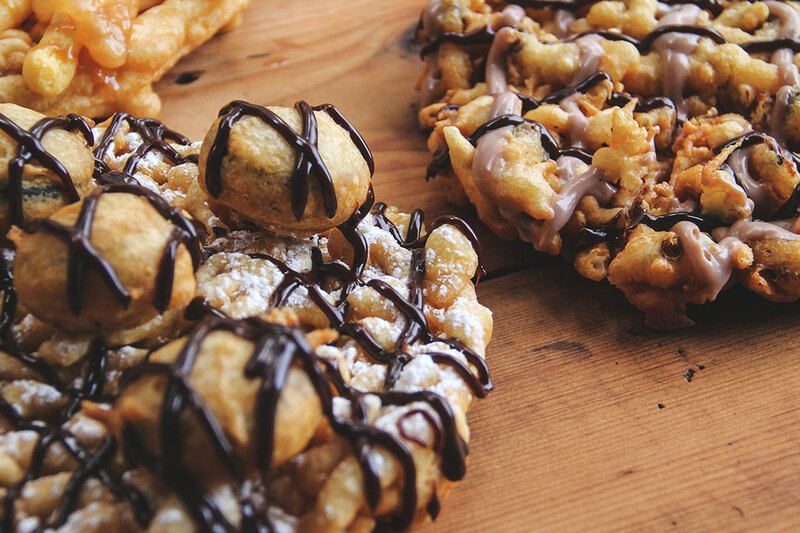 Gourmet funnel cakes are a must-have treat when visiting Silver Dollar City and you can find your favorite at Funnel Cakes on Valley Road, Flossie's Fried Fancies and Wilson's Farmers' Market. Stop by Hannah's Ice Cream Factory for a cone, shake or sundae. Dippin' Dots® are always fun and a variety of flavors can be found at stands on Valley Road, Hill Street and at Fireman's Landing®. Don't forget the take-home treats! Stop by Eva & Delilah's Bakery for some of their famous freshly baked gourmet cinnamon rolls or Sullivan's Mill for a delicious cinnamon loaf. Plus, try a variety of Time Traveler™-inspired treats at locations throughout the park. If you're looking for all your family's favorite foods in one spot, be sure to head over to the Family Summer Buffet in the Reunion Hall, served daily through August 5, from 11am to 3pm. You'll find a menu designed to please any palate with items including chicken tenders, a variety of macaroni & cheese recipes, oven-roasted chicken, pasta, all of your favorite sides and a selection of desserts.